We are excited to announce that we opened the doors of our design center on August 9. Now that we have been in the space for a little over a month, it is really starting to feel like home. We have outfitted the space with our favorite finishes, details and luxury items for our clients to see and experience first hand. The design center offers inspiration for our clients in areas where they may want to upgrade, but it also showcases the high standard of finishes that are included with their home. The design process can sometimes be overwhelming so we are pleased to have a private, central location which provides a relaxing atmosphere for clients to begin designing their dream home. 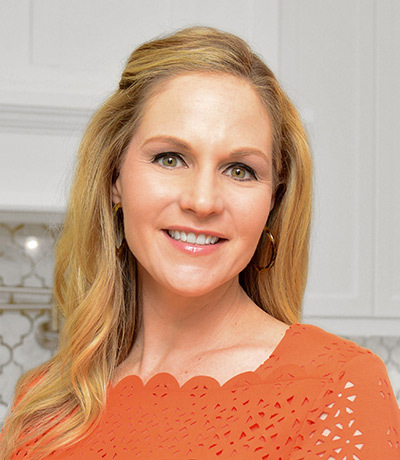 Stacey Crum is the exclusive designer for New Legacy Homes. She grew up in South Tampa and graduated from Florida State University. Stacey started her own design company in 2013 and has been designing homes with New Legacy since 2016. Working on a custom home is especially exciting because we really get to tailor the selections to the wants and needs of the client. Most buyers usually have a personal style and an idea of the atmosphere they want their home to have. The client may have a tile selection or colors that they love but they aren’t sure how to work it into the house. During the design sessions, Stacey works with the client to incorporate fun, specialized design elements while keeping the design cohesive throughout the home. The New Legacy Homes office and design center has been outfitted by secure pro who provides the home automation in our homes. Having this equipment installed in our space gives our clients and us the ability to be more hands on during the selection process. We truly want the home buying and building process to be one you enjoy and look forward to.